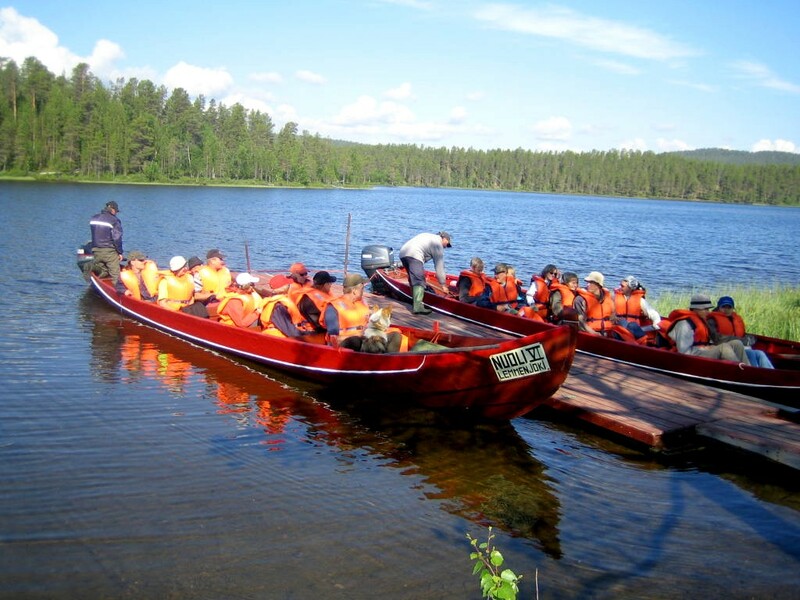 Sámiland is the place for eternal friends of Lapland. The most important fish species in Sámiland are salmon, trout, whitefish, Arctic char, grayling, perch, pike and burbot. Lake Inarijärvi also has vendace. Northern Finland is home to Finland’s most important salmon rivers, such as Näätämöjoki, Tenojoki and Inarijoki. The red-sided Arctic char is the salmon fish of Arctic waters and can mainly be caught from fell lakes. Sámiland waterways are popular canoeing and boating destinations, not to mention summer and winter fishing destinations. The local companies provide boat hire, organise guided fishing and boating trips, and sell fishing permits. You can also use your own boat in Sámiland; just make sure you disinfect your fishing equipment.